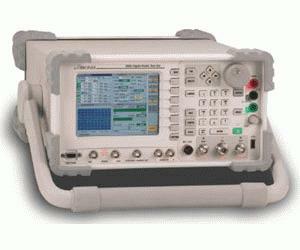 The 3920 is the latest Radio Test Solution from Aeroflex for engineering, production and field service applications. The instrument provides a comprehensive range of general purpose analog measurement facilities as well as advanced digital test options for P25, TETRA and HPD? systems. The digital architecture of the 3920 delivers faster, accurate and more repeatable measurements than any of its predecessors and provides for future technology enhancements as new digital technology becomes available.